Southern Polytechnic State University (also called Southern Poly; abbreviated SPSU) was a public, co-educational, state university in Marietta, Georgia, United States approximately 20 miles (32 km) northwest of downtown Atlanta. 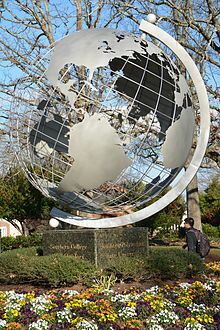 Until 2015, it was an independent part of the University System of Georgia and called itself "Georgia's Technology University." Southern Tech was established in 1948 as The Technical Institute in Chamblee, Georgia. The first classes were held with 116 students. It was renamed the Southern Technical Institute in 1949 and moved to its present campus in Marietta, Georgia in 1962. It went through another name change in 1987 and became the Southern College of Technology. In the summer of 1996, the university adopted its polytechnic name. It was one among a small group of polytechnic universities in the United States that tend to be primarily devoted to the instruction of technical arts and applied sciences. On November 1, 2013, plans were announced by the Georgia Board of Regents for Southern Polytechnic and Kennesaw State University to be consolidated into one university. On January 6, 2015, the Georgia Board of Regents of the University System of Georgia approved the consolidation of Southern Poly and Kennesaw State, with Kennesaw State as the surviving institution. On July 1, 2015, Kennesaw State established the Southern Polytechnic College of Engineering and Engineering Technology in honor of the former SPSU. After World War II, the need for technicians spiked due to a major economic shift in Georgia from being a largely agricultural state to one that is more industry heavy. The new industries required technicians to bridge the growing gap between engineers and craftsmen, effectively the gap between research/development and building/implementing. At the time, most technical institutes in the United States were in the northeastern states; thus the need for a technical institute in the south was great. In response to the growing demand, the president of the Georgia Institute of Technology, Colonel Blake R. Van Leer, sought to establish a technical institute program in Georgia. In 1945 he was approached by the Associated Industries of Georgia (AIG) who shared their common desire to have such a program and offered Van Leer their support. It took years for Van Leer to convince the Board of Regents to give Georgia Tech authorization to establish a technical institute. On October 8, 1947 the authorization was granted. The location chosen for the fledgling institute was a Naval Air Station in Chamblee, GA, which eventually became the site of DeKalb–Peachtree Airport. :1 The first director was to be Professor Lawrence V. Johnson, and it was going to open under the name of The Technical Institute. :4 On March 24, 1948 The Technical Institute held registration for the spring quarter and 116 students enrolled (all but 10 World War II veterans), including one young woman named Barbara Hudson. :19,23 The institute had a staff of 12. In 1949, The Technical Institute became the Southern Technical Institute and was recognized as a college-level school by the U.S. Department of Education. Twelve years later, the college migrated to its present campus in Marietta, Georgia, which was previously part of Dobbins Air Reserve Base. The General Lucius D. Clay National Guard Center (then known as Naval Air Station Atlanta) also moved to the opposite (south) end of Dobbins Air Reserve Base around the same time. In 1961, Hoyt McClure was named acting director and led the movement to build eight new buildings on 120 acres (49 ha) of land. The Southern Technical Institute became accredited as a four-year college in 1965 and was one of the first colleges in the nation to offer the Bachelor of Engineering Technology degree. It also earned independence in the University System of Georgia, separating ties with Georgia Tech. In the summer of 1980, the college officially became the fourteenth senior college and the thirty-third independent unit of the University System of Georgia. The college's first president, Dr. Stephen R. Cheshier of Purdue University, was named in that same year. He saw the college through two name changes — Southern College of Technology (often called Southern Tech) in 1987 and Southern Polytechnic State University in the summer of 1996, when the school became a university. Dr. Cheshier retired as president of the university in June 1997. Dr. Daniel S. Papp served as interim president from July 1997 to August 1998, when the university welcomed Dr. Lisa Rossbacher, formerly of Dickinson College, as its president. Eleven days before its planned vote, the Georgia Board of Regents of the University System of Georgia announced plans to consolidate Southern Polytechnic State University and Kennesaw State University into one university. Given that public comments are only allowed with fifteen days notice the Regents consolidation plans were perceived as a deceitful and secretive move by faculty and students. The presidents of the two universities were not told of the consolidation plans until "a week and a half" before the public announcement. Reasons given for the consolidation effort focused on cost savings despite the merger of eight other colleges into four only saving an estimated 0.1%. Since the completion of the merger several scandals have plagued the newly augmented Kennesaw State. Less than two years after the consolidation President Dan Papp announced that he was stepping down as president of the University. His replacement, Sam Olens, was appointed amidst controversy over his total lack of education experience or background. This appointment came on the heels of an audit that revealed that outgoing president Papp had violated financial policy in receiving more than a half million dollars in early retirement payment. Before Papp's retirement announcement a seven-figure embezzlement scheme was uncovered and five KSU staffers and contractors were arrested. The amount lost equated to nearly 15% of the merger-based savings of 2013. Dormitory facilities were provided at Southern Tech's first location in Chamblee, Georgia. They were created from former bachelor officers' quarters in facilities leased from the Atlanta Naval Air Station. When the campus moved in Marietta, housing was provided in residences originally built to house employees at the Bell Bomber plant (now the Lockheed Martin facility). The facilities were at that time being managed by the Marietta Housing Authority as low-income residences and were known as "Marietta Place." Construction for the Marietta campus' first dormitory began in 1964. The campus dormitories housed only men until 1974, when one end of the fourth floor of Howell dormitory was renovated for use by female students. At the time of its merger with Kennesaw State University, Southern Polytechnic State University had five on-campus housing facilities for its students. These were Howell Hall, Hornet Village suites, University Commons apartments, University Courtyard apartments, and University Columns houses. These facilities are still used to house Kennesaw State University students.. The Joe Mack Wilson Student Center is located near the front entrance on the northern side of campus. It includes resources such as a University bookstore, a game room, eateries, various lounge areas, and many of KSU's departments and offices. Historically, it also housed student organizations and the WGHR radio station. The Administration Building housed the admissions, student records, and recruitment offices, as well as the president's office and public relations office. It served and was known as the welcoming center for visitors to the campus. The main floor of the Academic Building has a major auditorium, some physics labs, and a walk-up help desk. It also housed the facilities of the Construction Management Department. The building is near the center of the campus — just south of the Lawrence V. Johnson Library and northwest of the Atrium Building. The Design II building was completed December 2010 and cover 14,500 square feet (1,350 m2). Acting as an extension of Design I, Design II houses six large studio spaces and a 286-seat auditorium. The Atrium Building's name refers to the large atrium that lies in its center. The building housed multiple academic departments. The first floor consists mainly of classrooms; computer laboratories are on the second floor, and faculty offices and conference rooms are on the third floor. It is located near the center of the campus — just west of Howell Hall and southeast of the Academic Building. On January 24, 2008, Governor Sunny Purdue recommended a little over $33 million toward the construction of a new building to house five programs: Electrical Engineering Technology, Computer Engineering Technology, Telecommunications Engineering Technology, Mechanical Engineering Technology, and Mechatronics Engineering. The facility, the Engineering Technology Center, covers 123,000-square-foot (11,400 m2) and contains 36 labs, 12 classrooms, two seminar rooms, and a 200-seat lecture room. It was completed in December of 2010; it opened on the first day of classes for the spring semester of 2011. It is on the western side of the campus – north of the parking deck and Stingers Restaurant. Stingers replaced the established dining hall when it was completed in July 2010. The name references the former SPSU mascot, the Hornets. The upper level dining area supports a commercial food service and the lower level is designed to accommodate special events for the college and its administration. The building is on the western side of the campus, south of the parking deck and the Engineering Technology Center. The Recreation and Wellness Center opened in 1996 and has a weight room, running machines, a basketball and volleyball gym, a swimming pool, and a racquetball and badminton court. The Outdoor Recreation Complex has three softball fields, a soccer field, and a large field for multiple sports. Intramural sports use these fields all year. The complex also has tennis courts and a running trail. Other buildings include the Lawrence V. Johnson Library (C Building), Mathematics Building (D Building), Crawford Lab Building (E Building), Engineering Lab Building (G Building), Civil Engineering Technology Building (L Building), W. Clair Harris Textile Center (M Building), Architecture Building (N Building), Housing Office (R10 Building), Recreation and Wellness Center (S1 Building), and Gymnasium (S2 Building). Southern Polytechnic State University had one off-campus facility, a Continuing Education Center. At the time of its consolidation with KSU, faculty at Southern Polytechnic State University were at a ratio of about 1 faculty member per 19 students. About 42.5% of students attended classes with fewer than 20 students. Every faculty member was required to have experience in relevant work or research of a topic to be qualified to teach at the school. Between 2006, there was a general 70% to 30% ratio of male to female professors. In 2007–2008 male professors made up to $7,000 more than female professors on average. The gap between the difference in pay quickly decreased and by the 2009–2010 academic year the salary only differed by $300, $77,699 for males and $77,410 for females. Of the 48 full-time professors in 2007, 52% of them had tenure. The number of professors dropped from 48 to 44 in 2008; with the drop of full-time professors, only 44% of full-time faculty had tenure. It was recorded in 2010, that the number of full-time professors dropped again to 39, but the tenure rate remained the same. There were many awards given out at SPSU among the faculty including the Outstanding Faculty Award and the Employee Service Award. The university would choose a select group of faculty whose achievements had been noteworthy enough to receive the OFA. The OFA committee changed each year and was made up of the previous year's recipients. The Employee Service Award acknowledged the service and achievement of permanent employees at periodic intervals with appropriate ceremony and awards. A committee composed of representatives from the Staff Council and the Outstanding Faculty Awards Committee determined who received the awards and the ceremony date. Both awards were given out at the same ceremony at the end of spring term. The Student Government Association shall provide a systematic process of open communication among students, faculty, and administration. The SGA shall act as an advocate and insure that the students of the Southern Polytechnic State University are capable of exercising their lawful rights concerning their education, safety, and the allocation and expenditure of service and activities monies. The SGA shall endeavor to support Southern Polytechnic State University goals and missions through activities which demonstrate the value and contributions of the Southern Polytechnic State University to our community and state. Southern Polytechnic State University operated an on-campus police department. A police department still exists as part of KSU's Marietta campus, located on the ground floor of Building R2. Southern Polytechnic State University offered a broad range of undergraduate degree programs and several masters degree programs through its four schools and its Division of Engineering. At the time of its consolidation with KSU, it offered 24 online certificate, graduate, and undergraduate degree programs as well as the "eCore" program which was made up of the first two years of college courses completely online and is composed primarily of core classes. Southern Polytechnic State University's academic divisions were made of its School of Architecture and Construction Management; School of Computing and Software Engineering; School of Engineering Technology and Management; School of Arts and Sciences; and Division of Engineering. The most popular programs of study for undergraduate students are Architecture, Computer Science, Mechanical Engineering Technology, and Mechanical Engineering. The university's construction engineering program was one of nine in the nation, and its mechatronics engineering program was the first in Georgia. Other unique programs at SPSU included a five-year professionally accredited architecture degree and undergraduate degrees in surveying and mapping, systems engineering, and technical communication. SPSU followed the University System of Georgia's Common Core program. At the time of consolidation, SPSU offered eleven graduate degree programs, nine graduate certificate programs, and four advanced graduate certificate programs. The eleven graduate programs awarded master's degrees in Accounting, Business Administration, Computer Science, Construction Management, Electrical Engineering Technology, Information and Instructional Design, Information Design and Communication, Information Technology, Quality Assurance, Software Engineering, and Systems Engineering. The university has been offering many of its master's degrees online since 1997. Southern Polytechnic State University offered special learning opportunities including teacher certification, distance learning, and study abroad programs. The university featured cross-enrollment programs with the Georgia Institute of Technology that enabled SPSU students to participate in the Army Reserve Officers' Training Corps, Naval Reserve Officers Training Corps, and Air Force Reserve Officer Training Corps programs hosted at the Georgia Institute of Technology's campus. University Honors Scholar degree required 12 credit hours of honors course work and 6 credit hours of upper-division honors course work. Departmental Honors Scholar degree required completion of 6 hours of enriched upper-division coursework or directed study. According to the American Society for Engineering Education, in its 2010 edition of Profiles of Engineering and Engineering Technology Colleges, Southern Polytechnic State University was ranked third for the most engineering technology degrees awarded in the United States from 2001 to 2010 in total and third in the number awarded to female graduates in that same time. The university ranked second in the nation in total enrollment of students in engineering technology degree programs. In 2010, the school was ranked as one of the toughest universities in the U.S. as reported by CBS News. Southern Polytechnic historically had three student-run media outlets: a college radio station, a student newspaper, and a yearbook. WGHR (Green Hornet Radio), the campus radio station, was a non-commercial educational station that began as "WSTB" in 1969 on carrier current AM, then became licensed as WGHR at 102.5 on the FM dial in 1981, moving to 100.7 in 1998. The station's broadcast license was canceled in 2001 because two commercial radio stations were allowed to take those FM frequencies, without compensation to the station or the school. WGHR continued to webcast after the cancellation. The station's radio studios and office were located in the student center. According to the SPSU Student Handbook, WGHR offered interested students an opportunity to gain broadcast and technical experience. The Technician's Log (often shortened to The Log) was the yearbook for Southern Tech. Its first volume was published in 1949, and the final volume was published in 1997. At the time of its merger with KSU, Southern Polytechnic State University was home to fourteen fraternities and sororities: seven of the North-American Interfraternity Conference (IFC), two of the National Panhellenic Conference (NPC), and five of the National Pan-Hellenic Council (NPHC). Greek organizations on campus were dedicated to philanthropy, education, and community service through their own organizations. The Greek organizations at SPSU participated in campus-wide events such as Goat Night, bathtub races, and Greek Week. Southern Polytechnic State University supported many student-run and departmental organizations. In the 1960s one of the fraternities at Southern Polytechnic converted a cast-iron bath tub into a cooler for parties. When the tub became difficult to move they attached wheels to it. Some time after, other fraternities acquired their own cast-iron tubs, attached wheels, and the fraternities began to hold races around the perimeter of the school. In light of a growing liability risk the school ended the annual tub races in the early 1990s. In 2010 the SPSU alumni group resurrected the Bathtub Race, under the stipulation that the tubs be motorless. Southern Poly was a member of the National Association of Intercollegiate Athletics (NAIA) and competed in the Southern States Athletic Conference (SSAC). Men's sports included baseball, basketball and soccer; while women's sports include basketball. The university's athletic teams were known as the Runnin' Hornets, although "Runnin' Hornets" is often shortened to "Hornets" in use. The university's mascot was Sting, a green and black, anthropomorphic hornet bearing the stylized version of the university's logo on its chest. The soccer team was established in 2007. After not receiving a tournament bid in the first season, the Hornets subsequently received three consecutive NAIA tournament berths. In its most notable season of 2009–2010, Southern Polytechnic State University's soccer team went 14–2–1 and went to the NAIA tournament. The team made it past the first round defeating Bryan College but lost in the round of 16 to Martin Methodist. The baseball team went 53–10 in the 2009 regular season, won the SSAC conference championship, and finished fifth in the NAIA World Series. Three players from the team were drafted by major league baseball teams (the Baltimore Orioles, Philadelphia Phillies, and Florida Marlins). Former players have also signed with other professional organizations such as the St. Louis Cardinals, New York Mets, Cincinnati Reds, and Chicago Cubs. In 2009, the men's basketball team went 23–5 in the regular season and 12–2 in the conference. They reached the SSAC tournament and won three straight games to become SSAC Champions. They qualified for the NAIA tournament, where they won three straight games before losing in the final four to Azusa Pacific University. During the 2009 season, many of the athletes on the men's basketball team received personal awards. Jas Rogers won the award for the 2009–2010 SSAC Player of the Year. Brent Jennings, Xavier Dawson, and Jas Rogers were voted to the SSAC All-Conference Team, Darrien Beacham was voted to the 2010 Musco Lighting Champion of Character Team, and Jordan Lemons was voted to the SSAC All-Academic Team. In 2009, women's basketball went 26–4 in the regular season and 12–4 in the conference. They won the SSAC championship and went on to the NAIA tournament. They won the first game but lost the next one to Union University. During the 2009 season, many of the athletes on the women's basketball received personal awards. Athlete Crystal Davis was awarded the NAIA Scholar-Athlete and All-Academic Team awards, Brittany White was voted to the All-Freshmen Team, Dione Parks and Marisa Stoler were voted to the All-Conference Team, and the 6th Man Award was given to Dione Parks. The Newcomer of the Year award was awarded to Marisa Stoler, and Aurielle Morgan Musco was voted to Lighting Champion of Character Team. Also, the Coach of the Year award was awarded to Coach Nathan Teymer. In 2014, the SPSU baseball team won the SSAC conference tournament. The team also won the Daytona Beach first round regional, earning a trip to the Avista NAIA World Series in the schools final year of collegiate athletics. Southern Polytechnic State University offered intramural and club sports, which included many team and individual competitive programs throughout the year. Intramural sports consisted of basketball, racquetball, dodgeball, soccer, softball, and volleyball. The club sports are organized by individuals and groups on Southern Polytechnic's campus. The recreational sports practices and competitions took place in the Recreation and Wellness Center, the Outdoor Recreation Complex, the Athletic Gymnasium, and Walter J. Kelly, Jr. Field. The Recreation and Wellness Center opened in 1996. One notable alumnus of Southern Polytechnic State University is Mike Garrett, former president and CEO of Georgia Power, one of the leading producers of electricity in the United States. John Leverett, the founding and head of engineering at Panoz Auto Development graduated in 1993. Jeff Glover, Steve Newey, and Brandon Fry - all work at the highest levels of international Sports Car and Indy Car racing - all graduated from Southern Poly - and are friends (with John Leverett too). Craig "Huey" Stewart, founder of Marietta Motorsports, attended the university. He and John Leverett of Panoz Auto Development are noted for having founded Southern Polytechnic State University's Formula SAE competition team in 1992..
^ Temporary Style Guide. Marietta, GA: Southern Polytechnic State University. PDF. ^ a b "Southern Polytechnic State University." U.S. News & World Report Report LP, 2012. Retrieved 11 Aug. 2014. < "Archived copy". Archived from the original on 2015-04-02. Retrieved 2015-03-28. CS1 maint: Archived copy as title (link)>. ^ Watson, Ann S. "New Georgia Encyclopedia." Georgia Humanities Council, 10 Dec. 2004. Retrieved 10 Mar. 2012. <http://www.georgiaencyclopedia.org/nge/Article.jsp?id=h-1429>. ^ "University Mission." Southern Polytechnic State University Marietta, Georgia. Retrieved 01 May 2012. .
^ "Points of Distinction". Admissions & Outreach Office at Cal Poly Pomona. Archived from the original on 21 August 2012. Retrieved 20 September 2012. ^ "Kennesaw State, Southern Poly to merge". Atlanta Journal-Constitution. Retrieved 1 November 2013. ^ W. L. Hughes, "A Brief Chronology of the Technical Institute Movement in America." The American Society for Engineering Education (ASEE), 1947. ^ a b c d Bennett, Richard A. (1998). Southern Polytechnic State University: The History (PDF). Southern Polytechnic State University Foundation. ^ a b "KSU | Southern Polytechnic College of Engineering and Engineering Technology - History". engineering.kennesaw.edu. Retrieved 2018-01-09. ^ a b c d "History". spsu.edu. Retrieved 8 May 2015. ^ Marietta Site | Georgia Highlands College. Retrieved December 21, 2018. ^ "Secret merger, now public, meets opposition in Georgia". Retrieved 2016-10-31. ^ Journal-Constitution, By Janel Davis - The Atlanta. "KSU president announces retirement". Retrieved 2016-11-01. ^ Stirgus, Eric. "Sam Olens named Kennesaw State University president". ajc. Retrieved 2016-11-01. ^ Journal-Constitution, By Janel Davis - The Atlanta. "Ex-KSU chief Dan Papp violated financial policy, audit finds". Retrieved 2016-11-01. ^ "Five Suspects Arrested, One Still Missing, in Fraud Investigation". The Sentinel. 2013-04-16. Retrieved 2016-11-01. ^ Housing Options, Housing and Residential Life. Page dated February 20, 2015, retrieved via Internet Archive on December 21, 2018. ^ Housing and Residential Life | Kennesaw State University Retrieved December 21, 2018. ^ "New Engineering Technology Center and Building I Renovation and Addition." DPR Construction via Internet Archive. Retrieved 31 December 2018. ^ a b c "Rec Sports Facilities". spsu.edu. Retrieved 8 May 2015. ^ "Southern Polytechnic State University - Southern Polytechnic - Academic Life - Best College - US News". rankingsandreviews.com. Archived from the original on 5 August 2014. Retrieved 8 May 2015. ^ Southern Polytechnic State University, Petersons. ^ SGA Constitution and Amendments. Marietta, GA: Southern Polytechnic State University Student Government Association, 2012. DOC. ^ "Enrollment Reports". spsu.edu. Retrieved 8 May 2015. ^ "Overview". spsu.edu. Retrieved 8 May 2015. ^ "Degrees". spsu.edu. Retrieved 8 May 2015. ^ "Online Programs in Computing at SPSU - Why SPSU". spsu.edu. Retrieved 8 May 2015. ^ http://www.spsu.edu/honors/about_us.htm "About the University Program", Southern Polytechnic State University, retrieved 2012/02/09. ^ "Student Organizations". spsu.edu. Retrieved 8 May 2015. ^ Finding aid for The Sting, SPSU's Student News Publication. KSU Archives. Retrieved December 21, 2018. ^ The Sting and KSU Talon Merge: The “New” Sting. Owl Life, KSU. Retrieved December 21, 2018. ^ The Peak. Owl Life, KSU. Retrieved December 21, 2018. ^ "SPSU". orgsync.com. Retrieved 8 May 2015. ^ "Students". spsu.edu. Retrieved 8 May 2015. ^ Diamond, Laura (March 23, 2010). "Bathtub Races Return to Southern Poly". Atlanta Journal-Constitution. Retrieved February 12, 2011. ^ "What you're about to read may surprise you about ... Southern Polytech." Marietta Daily Journal (GA) 4 Mar. 2007, News: NewsBank. Retrieved 14 Feb. 2012. ^ "Southern States Athletic Conference -". ssacsports.com. Retrieved 8 May 2015. ^ a b "Southern States Athletic Conference - 2009-10 Men's Basketball Awards". ssacsports.com. Retrieved 8 May 2015. ^ "Southern States Athletic Conference". ssacsports.com. Retrieved 8 May 2015. ^ "Intramurals". spsu.edu. Retrieved 8 May 2015. ^ "Gov. Perdue, Outstanding USG Faculty, Alumni Honored at Regents' Fifth Annual 'Excellence Awards'" , "University System of Georgia Newsroom", March 28, 2009, accessed February 4, 2011. ^ "City of Alpharetta Website -- Chris Owens". alpharetta.ga.us. Archived from the original on 3 April 2015. Retrieved 8 May 2015. ^ "Board of Regents salutes SPSU president, conveys emerita status". spsu.edu. Retrieved 8 May 2015. Southern Polytechnic State University: The History, 1998. Kennesaw State University Archives. SPSU Student Newspaper Collection, Kennesaw State University Archives. SPSU Yearbook Collection, Kennesaw State University Archives. This page was last edited on 2 February 2019, at 06:48 (UTC).